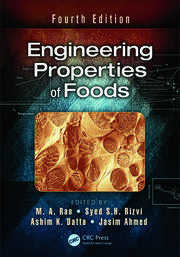 This book presents the main advances of nanotechnology as applied in the food industry. 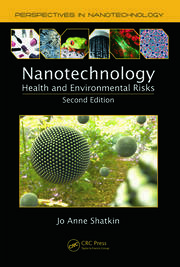 The fundamental concepts of the technique will be presented, followed by examples of application in the implantation phase or diffused in the different sectors, such as the application for flavor, color and sensory characteristics enhancement, general concepts of nanosupplements, introducing antioxidant, antimicrobial nanoparticles and other active compounds into food, developments in the field of packaging, among others. In addition, this work provides updates on the industrial development and the main regulatory aspects for the safety and commercialization of nanofoods. 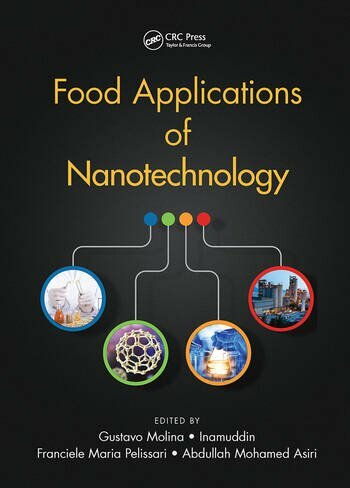 General Overview of Nanotechnology in the Food Industry. Current Status of the Production and Utilization of Nanomaterials as Food Additives. Technological Developments in the Areas of Flavor, Color and Sensory Characteristics of Food and Food Additives. Nanosupplements: Improvements in Nutritional Functionality. Use of Antibacterial Nanoparticles for Food Applications. Use of Antioxidant Nanoparticles in Food and Food Supplements. 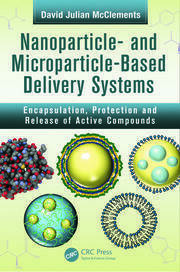 Encapsulation and Delivery of Substances in Targeted Sites. Methods for Enhancement of Shelf Life and Food Storage. Nanoemulsions: Preparation and Applications in the Food Industry. Application of Nanomaterials Preservatives in the Meat Processing Industry. Application of Nanotechnology in the Cereal Processing Industry. Application of Nanomaterials in Milk and Derivatives Processing Industry. Application of Nanotechnology in Vegetable Oils Production and Utilization. Application of Nanotechnology in Fermented Products. Application of Nanotechnology in Alcoholic and Nonalcoholic Beverages. Nanobarcodes: Safety Labeling and Monitor Distribution. Biosensors and Nanotechnology in Food Supply Chain. Green Polymer Nanocomposites Applied in Food Packaging. Application of Nanotechnology in Active and Smart Packaging. Nanocellulose: Sources, Isolation and Application in Food Packaging. Starch Nanocristals: Sources, Isolation and Potential for the Food Industry. Nanobiotechnology Ingredients Applied to the Food Industry. Industrial Developments and Main Companies in the Food Sector: From Research to Industry. Evaluation of the Toxicity and Biological Influence of the Use of Nanoparticules. Regulation of Nanotechnology in the Food Industry. Vineet Kumar is currently working as Dr DSK postdoctoral fellow in the Department of Chemistry, Panjab University Chandigarh, UT India. He has worked in different areas of biotechnology and nanotechnology in various institutes and universities namely, CSIRInstitute of Microbial Technology, Chandigarh, U.T., India, CSIR-Institute of Himalayan Bioresource Technology, Palampur, H.P. India and Himachal Pradesh University, Shimla, H.P. India. His areas of interest include green synthesis of nanoparticles, nanotoxicity testing of nanoparticles and application of nanoparticles in drug delivery, food technology, sensing, dye degradation and catalysis. He has published many research articles in these areas featuring in peer-reviewed journals. Nandita Dasgupta is currently serving as Research Associate at VIT University, Vellore, Tamil Nadu, India. She has exposure of research institutes and industries including CSIR-Central Food Technological Research Institute, Mysore, India and Uttar Pradesh Drugs and Pharmaceutical Co. Ltd., Lucknow, India. Her areas of interest include toxicological analysis, natural products technology, nanobiotechnology and agri-food technology. She has published many scientific articles in international peer reviewed journals and also serving as editorial board member and referee for reputed international peer reviewed journals. She has received Elsevier Certificate for “Outstanding Contribution” in Reviewing from Elsevier, The Netherlands. She has also been nominated for Elsevier advisory panel for Elsevier, The Netherlands. She was the Guest Editor in Journal of Chemistry for the special issue entitled “Food Nanotechnology Opportunities and Challenges”. Shivendu Ranjan is currently working as DBT-Research Fellow, Department of Biotechnology, Ministry of Science and Technology, Govt of India at VIT University, Vellore, Tamil Nadu, India. He is also serving for a non-government organization as an Honorary-Director, Research Wing, Veer Kunwar Singh Memorial Trust, Chapra, Bihar, India. He is the Founder-Director at Xpert Arena Technological Services Pvt. Ltd., India (www.xpertarena.com); this company is dedicated to serve in online and offline sectors with a vision to simplify the education. He has also founded and drafted the concept for first edition of “VIT Bio Summit” in 2012 and the same has been continued till date by the university. His area of research is multidisciplinary which are as but not limited to: Nanofood technology, Nano-agri technology, Nanobiotechnology, Nano-toxicology, Natural products technology, Natural products chemistry, Bio-business, Food chemistry and Food Engineering. He has published many scientific articles in international peer reviewed journals and also serving as editorial board member and referee for reputed international peer reviewed journals.